Hotel Romantic is founded in the newly renewed historical flourmill in the center of Panevėžys city, on the bank of river Nevėžis. The hotel is easy to reach, near the Via Baltica road, on the half way between Vilnius and Riga. The hotel offers 39 cosy rooms with cable television, telephones, business equipment, safes, Internet, and mini bars. Subtle luxury and views of inimitable beauty to Senvagė you can see through your window will elate you and prepossess you for a whole day. In the old part of the building the old-fashioned rooms are founded: wooden floor, balks, original furniture and interior details. The new rooms are of more modern design. 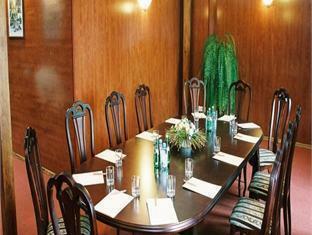 Hotel conference halls are ideal for festive evenings and meetings for both individuls and companies. There is an air conditioning system, a separate cloakroom, toilet, bar, stage, changing room, shower, and proffessional music and lighting equipment. 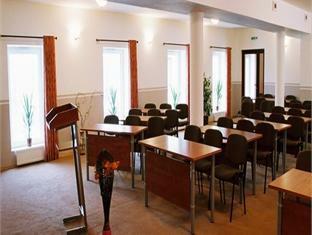 Our economy class hotel is situated on the Via Baltica road, 8 km from Panevezys’ city center. SERMUTAS is in the middle on the road Vilnius – Riga, and between Warsaw -Tallinn. We can offer 33 rooms for accommodation. A cozy hotel restaurant offers breakfast for guests. The restaurant can accommodate up to 150 people. Also available for travelers, there is a 160-seat fast food café with outdoor lounge, which is open in summer. The hotel contains 3 conference halls suitable for 40, 100 and 150 people. Wireless internet access and convenient parking is available. We also accept reservations for parties and events. If quests want we can work longer, then you must pay tax. The personnel of the restaurant cooks dinner or supper for conference. Also we are doing cakes and ale, supper, party, buffet, wedding, mourning dinner, all you need. The is field terrace in the little hall . Easterly and enormous halls can be one hall. In adition to: coffee breaks, dinner, cakes and ale supper, partybuffet. cafe-bar (up to 90 people), terrace (up to 30 people), party hall (up to 120 people). This is an excellent place not only for a rest but also for those who want to hold seminars, conferences and business meetings. Smelyne offers you excellent conditions for successful and productive work and various receptions. Meetings can be held at one of two conference halls which have modern, contemporary equipment and internet connections. The 1st floor conference hall can hold up to 130 people and the 3rd floor conference hall up to 40 people, also there is the meeting room where can be organised meetings for 6 people. For 25 years we have been going through catering services and events. The company for a long time was known as a grocery store for locals and guests of the city, where it was possible to buy not only the essential household goods but also various culinary and confectionery products. In 2005 June, the reconstructed shopping center opened its doors, with the name of VASARIS. There are various business meetings, conferences, seminars, trainings and presentations, exhibitions and festive gatherings in the premises of the banquet hall "Vasaris".